Hello, and welcome to Police Situational Judgement Tests. 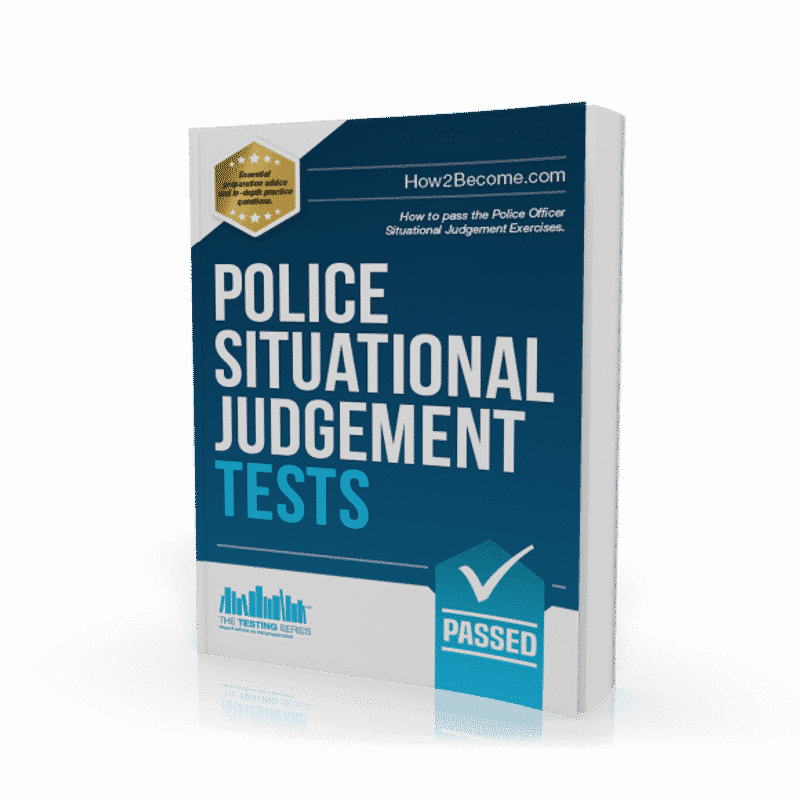 This guide will teach you all of the ins and outs of the Police Situational Judgement Test. In order to become a police officer, almost every constabulary will require you to take some form of situational judgement test. 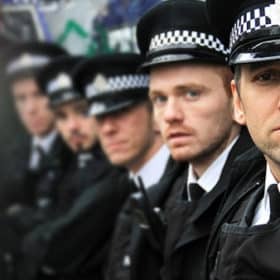 Whilst the selection process for becoming a police officer is highly competitive, there are a number of things that you can do to increase your chances of success. The guide itself has been split up into useful sections to make it easier for you to prepare for the test. Read each section carefully and take notes as you progress. Don’t ever give up on your dream; if you want to become a police officer, then you CAN do it. The way to approach an application for a job of this nature is to embark on a programme of ‘in-depth’ preparation, and this guide will show you exactly how to do that. 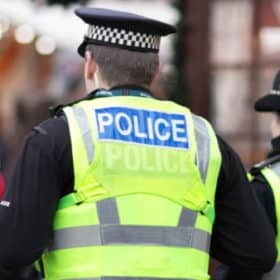 Police constabularies in the UK are starting to use a form of situational judgement test as part of the assessment criteria for new recruits. Another name for this type of test is the ‘PSJT’. The PSJT was introduced as an additional way to help constabularies assess the decision- making of potential officers, and measure how your decisions match up to the core police expectations. The purpose of this book is to provide you with some invaluable sample questions that will help you prepare for the real test. Within our book, we have provided you with different types of situational judgement test questions; ones which are police officer related, and ones which are not police officer related – and are therefore ‘generic’ in nature. The reason for the different types of questions is simple. We want you to experience alternative types and formats of situational judgement questioning prior to the real assessment. This will enable you to be better prepared for the test itself. On that basis, make sure you attempt and understand each type of question format before you attend the police officer assessment day. EFFICIENT. The most reliable, productive response, which is most likely to lead to a good result. FAIRLY EFFICIENT. A reliable and productive response, albeit one which could possibly be improved upon, via small changes in action. INEFFICIENT. A response which does not resolve or simply ignores the issue at hand. COUNTERPRODUCTIVE. A response which makes the situation worse, rather than better. 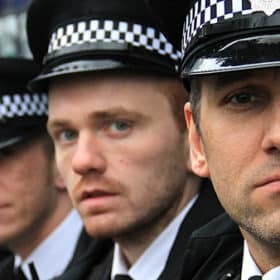 Although the police situational judgement test is not perfect, it is generally a very reliable indicator of how an officer would act in a particular situation. Of course, it’s very difficult to replicate potentially high pressured situations in test format. However, the assessment is taken under timed conditions, which adds its own element of pressure for you to overcome. Check out our guide, for a full overview of how to link the above to the core competencies! Whenever you are answering this type of police situational judgment question, always try to focus your answer around the core competenciesof the police. 1. ‘Join in, it’s just a bit of banter.’ Answer: Counterproductive Explanation: This is a counterproductive response. Religion is not something that should be mocked, and you can clearly see that the individual in question has taken the remarks badly. 2. ‘Speak up, and inform your colleagues that they should have more respect for other religions.’ Answer: Efficient Explanation: This is an efficient response, as you are clearly demonstrating to the affected individual that discrimination of any kind will not be tolerated, as well as admonishing your colleagues for their behaviour. 3. ‘Ask the offended colleague to speak to you in private afterwards, where you will discuss the comments.’ Answer:Fairly Efficient Explanation: This response is fairly efficient. You are showing your colleague that discrimination is not acceptable, but at the same time you are not demonstrating this to the individuals who have upset him. 4. ‘Try to change the subject.’ Answer: Inefficient Explanation: This is an inefficient response. You need to make sure that the problem is addressed. There are several things you can do in order to help improve your scores during the PSJT. 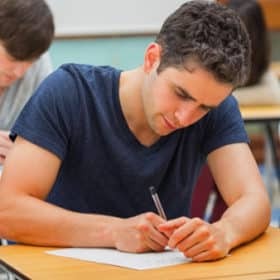 The following tips will help you to prepare effectively and improve your overall ability to pass this type of psychometric test: TIP 1 – There are many types of Situational Judgement Tests available on the market. Just because you are applying to become a police officer, doesn’t mean you should focus solely on police officer related SJTs. Obtain as many SJT questions as possible, from a variety of different genres, and practise accordingly. TIP 2 – When you read the question, you will be presented with a ‘situation’. Read the situation quickly before scanning each of the presented options. Look for the safest option first, and then look for the option you would be least likely to carry out at all. Then, assess the final two options and place them in order of priority based on what you would do in that type of situation. 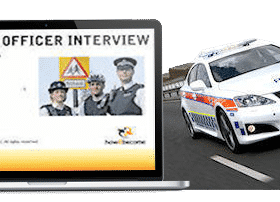 TIP 3 – You do not need to be a police officer in order to pass the police officer related situational judgement test questions provided within this book. What you do need to be is professionally conscious, and have a good level of common sense. When assessing the situation and presented options, always err on the side of caution. Don’t take silly risks. TIP 4 – Be entirely honest in how you answer the questions. This is very important. The role of a police officer involves a high degree of trust, integrity, professionalism, safety and a strict adherence to rules and procedures. The test is designed to assess how you would perform or react to given situations. 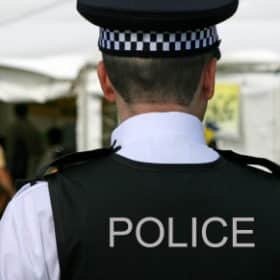 You should also be aware that the police constabulary may ask you questions during the interview based on the answers you provide during the Situational Judgement Test. 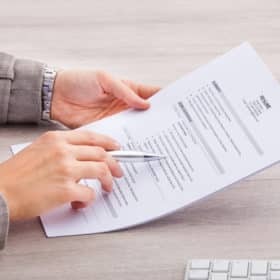 For example, if you answer a question during the PSJT that indicates you prefer to work alone as opposed to working as part of a team, yet you contradict yourself during one of the interview questions and state that you prefer to work as part of a team, this could lose you marks and imply you are dishonest. By answering the questions honestly during the test, you will not have to worry about how you answer the questions during the interview. For more top tips on passing the Police Situational Judgement Test, check out our guide! Q1. 1.Help the man to his feet, put the t-shirt back in his bag for him and wish him a good day. Answer: Inefficient Explanation: The reason that this answer is inefficient, is that you are not resolving the issue. Instead, you are simply ignoring it and letting the man leave. 2. Help the man to his feet, but examine the t-shirt, before questioning the man on where he got it from. Answer: Fairly Efficient Explanation: The reason that is answer is fairly efficient, is that you are taking steps to deal with the problem. However, there is every chance that the man won’t tell you the truth, so simply questioning him doesn’t give you the chance to investigate entirely. 3. Ask the man to come with you to the security office, so that you can investigate further. Explain to him that this is a precautionary step. Answer: Efficient Explanation: The reason that this answer is efficient, is that you are taking all of the necessary steps to resolve the issue, including explaining to the man why you have taken this course of action. 4. Pin the man to the floor and proceed to arrest him. Answer: Counterproductive Explanation: The reason that this is counterproductive is because you are immediately jumping to (aggressive) conclusions about the man’s behaviour. It could well be a mistake. Pinning him to the floor should be a last resort, when all other potential avenues have been exhausted. Q2. 1. ‘It’s okay, we’ll just have to proceed without those documents for now. Hopefully they won’t be too important.’ Answer: Inefficient Explanation: The reason that this answer is inefficient is because the documents are important, and that it’s likely you will need them later down the line. In this answer, you are simply ignoring the problem. 2. ‘This is a disaster. You’ve derailed the entire investigation. I’m afraid you’re sacked.’ Answer: Counterproductive Explanation: The reason that this is counterproductive is because in this answer, you are taking extremely rash and unnecessary action. Furthermore, based on the role that this question gives you (senior officer) there is no indication that you have the power to remove people from their job. 3. ‘Okay, don’t panic. I’ll contact the senior administrator, who should have photocopies of the forms. Later this afternoon though we’ll have a serious chat about this.’ Answer: Efficient Explanation: The reason that this response is efficient, is because you are offering a solution to the problem, calming the individual down, and informing them that there could be repercussions for their mistake. 4. ‘Can you explain to me how this happened? This is a very serious incident.’ Answer: Fairly Efficient Explanation: The reason that this response is fairly efficient, is because you are taking a serious approach to this problem, and identifying to the individual that it needs to be dealt with. Q3. 1. Ignore it. He’s probably just forgotten his keys. Answer: Inefficient Explanation: The reason that this is inefficient, is because you aren’t doing anything to act upon a potentially serious situation. At the very least, you need to question the man. 2. Immediately call the station to ask for backup. You may need help to apprehend the criminal. Answer: Fairly Efficient Explanation: This is a fairly efficient response, as you are taking steps to secure your own safety, and to deal with the problem. That being said, it’s entirely possible that this is just a misunderstanding, and in any case your new partner is due to arrive shortly. 3. Wait for the man to exit the property, and then confront him. Answer: Efficient Explanation: This is an efficient response. Instead of going charging in, assuming the worst, wait for the man to exit the property. This means that you can deal with him in a calm and professional manner. 4. Immediately attempt to enter the property yourself. You need to stop the man before he gets away. Answer: Counterproductive Explanation: This is a rash and potentially damaging decision, especially if the person turns out to be the homeowner/has just forgotten their keys. Furthermore, in attempting to enter the property yourself (by force) you will probably end up damaging the house. A full explanation of the police situational judgement test, and what the assessors are looking for! An in-depth overview of the core competencies, and how to use them in your answers. Multiple tips and tricks on how to select the best answer. TWO different types of situational judgement test, to give you as much practice as possible! 100 sample test questions, to help you practice! Practice police situational questions, to get you thinking like an officer!